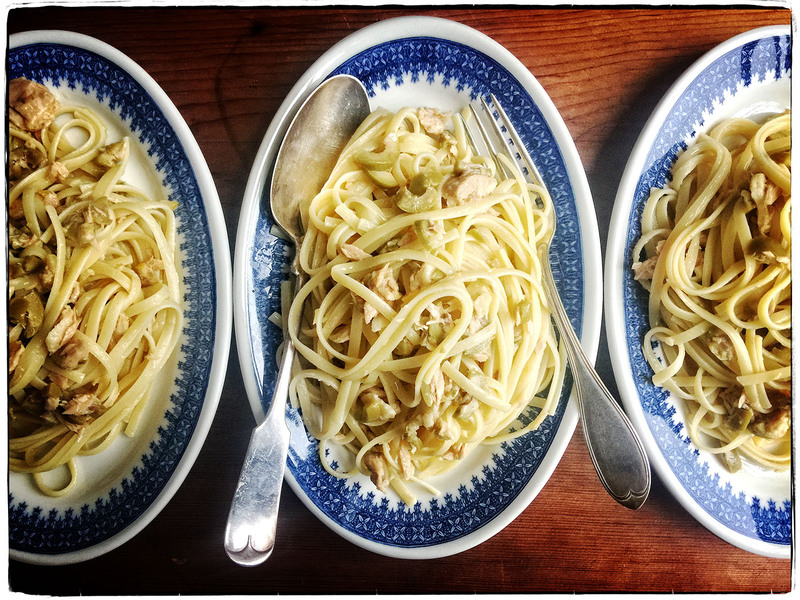 We had a young gentleman caller today who arrived as we were fixing lunch—linguine with tinned tuna and green olives. So, of course, we set another place. We fell in to talk of food and wound up discussing our lunch. He is interested in learning how to cook, so when we listed the ingredients (which are practically the recipe) he queried quizzically, “I thought I tasted something else?” Then we remembered, we had added preserved lemon. The kid’s got a good palate.